Fight monsters and explore a medieval world. Aveyond is packed with more than 60 quests, hundreds of places to explore, and over 50 hours of game play. 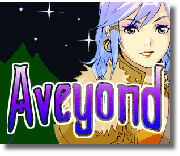 If you like games like Final Fantasy, Chrono Trigger, and Dragon Warrior, you are going to love Aveyond. Hundreds of locations filled with adventure! "After putting six hours into this console-style RPG I've barely scratched the surface, it's that big! Beautiful pixel art, amazing musical score, and interesting story make this a winner." "There is plenty of scope to explore and side quests all over the show which make the experience very immersive indeed. This makes Aveyond much more than a game, it's an experience... A good amount of work has gone into both the execution and design of this game, and though it looks simplistic, the proof is definitely in the playing."